ndoors all winter long, The Winter Farmers’ Market by Grow Oak Ridge offers locally grown fresh produce, meat, eggs, honey, artisan breads, hand roasted coffee, food trucks and more! We have 30 vendors or more each week, who make, bake or grow what they sell locally, within 150 miles of Oak Ridge. Open Saturdays, 10 a.m. to 1 p.m. , in December, January and February (closed Dec. 29). Location: 323 Vermont Avenue, Oak Ridge, TN (gym at St. Mary’s School). FREE POP Club (Power of Produce) for children ages 12 and under. Featuring prizes, veggie tastings, games, arts and nutrition education. 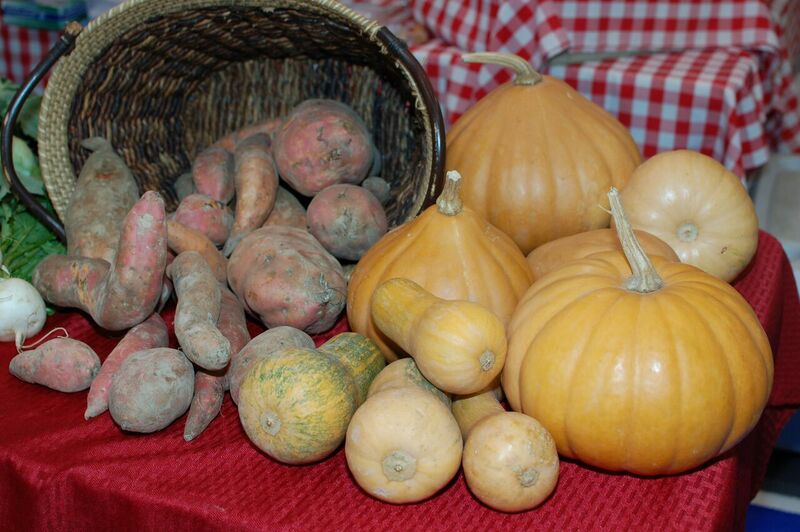 Cooking demonstrations by UT Extension agents will help you plan healthy meals all winter. Enjoy lunch from our food trucks at our indoor eating area. We accept and double SNAP benefits for fresh fruits and vegetables up to $20 per transaction. If you forget cash, many vendors take debit / credit cards, and the Welcome Desk sells tokens to spend in the market. Grow Oak Ridge is a nonprofit organization dedicated to improving health in Anderson County by connecting farmers and artisan food producers with the public.